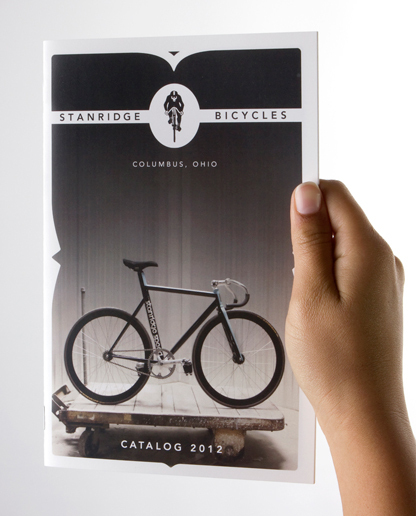 Print catalog for Stanridge's potential buyers and dealers, highlighting the craftsmanship and quality of Stanridge bicycles. 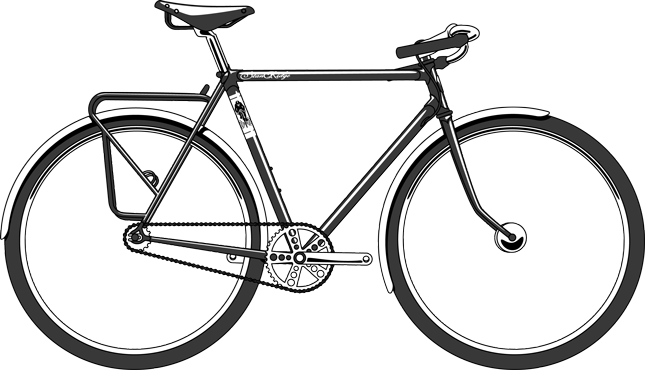 The border shape, which draws visual cues from steel frame bicycle lugs, was chosen to reduce printing costs incured by full-bleed printing. 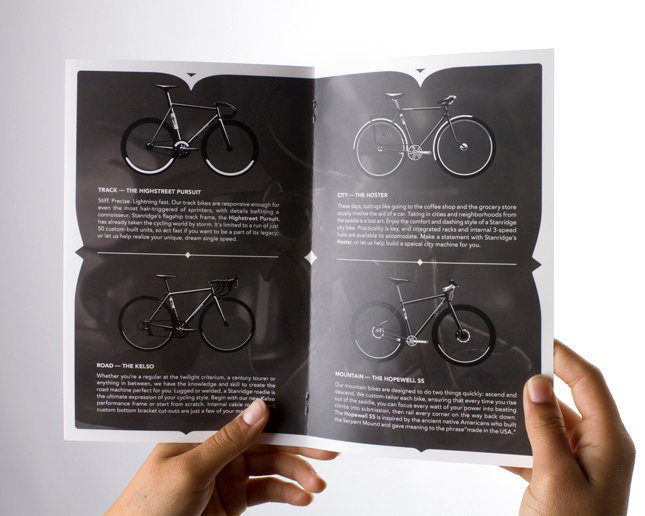 Illustrations and promotional descriptions were made from scratch for the catalog. These days, outings like going to the coffee shop and the grocery store usually involve the aid of a car. Taking in cities and neighborhoods from the saddle is a lost art. 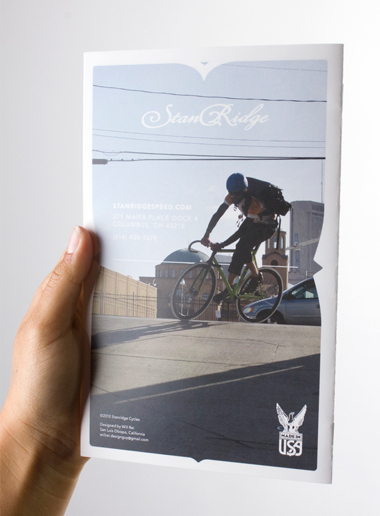 Enjoy the comfort and dashing style of a Stanridge city bike. 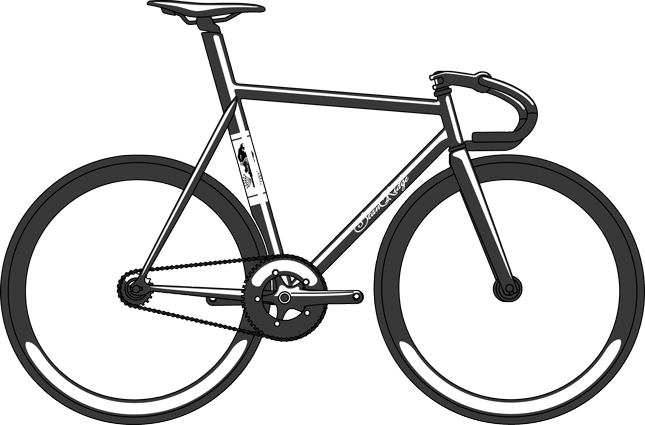 Practicality is key, and integrated racks and internal 3-speed hubs are available to accomodate. 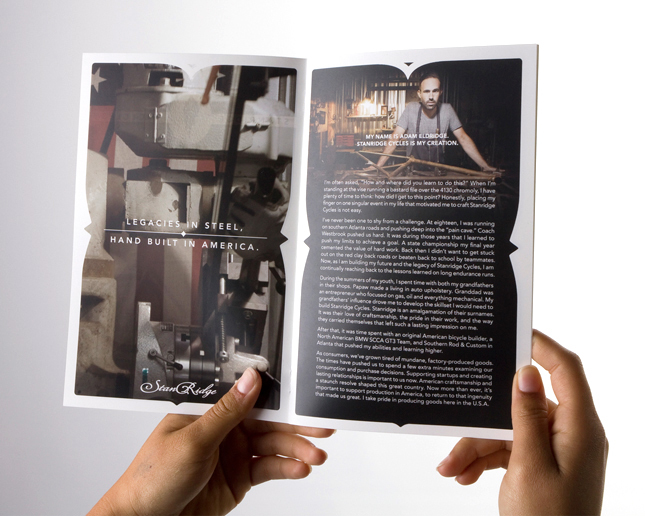 Make a statement with Stanridge’s Hoster, or let us help build a speical city machine for you. Stiff. Precise. Lightning fast. Our track bikes are responsive enough for even the most hair-triggered of sprinters, with details befitting a connoisseur. Stanridge’s flagship track frame, the Highstreet Pursuit, has already taken the cycling world by storm. 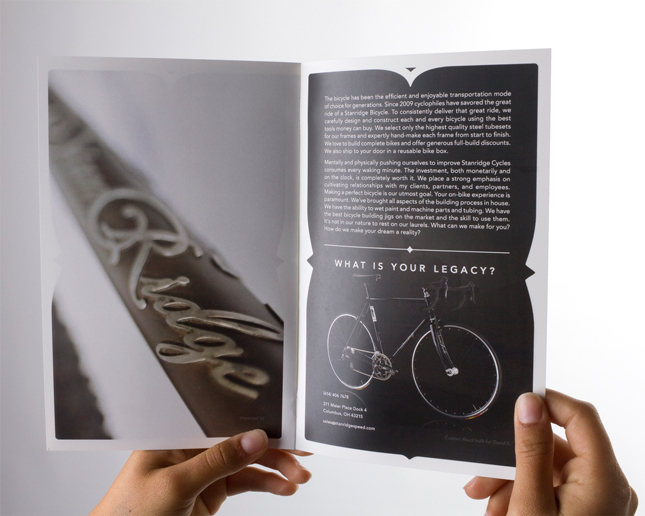 It’s limited to a run of just 50 custom-built units; act fast if you want to be a part of its legacy, or let us help realize your unique, dream single speed.